Football fans have never been categorized as lackluster and bland, and for certain rivalry matches this is especially true. These derbies are no stranger to violence and hooliganism from rabid fans, making them at times a dangerous place to be. With that danger also comes a sense of community — entire cities coming together in the name of the beautiful game. 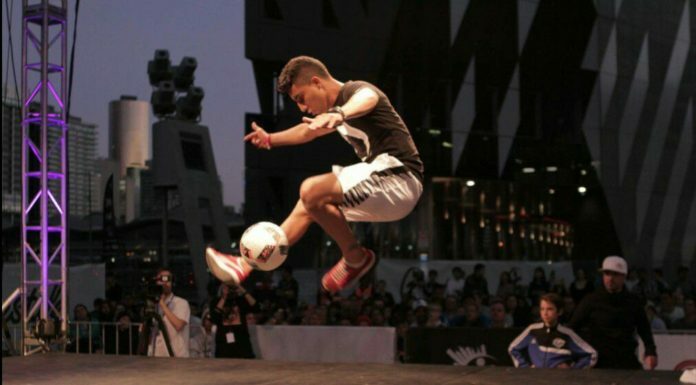 The beautiful game has swept into all areas of our lives. With a favourite pastime of many being betting. Some people are now taking advantage of match betting. If you are asking yourself does matched betting work, then it might be time for you to research further. We take a look at five derbies that contain a mix of both the positive and perilous, which oftentimes don’t come equally. It goes without saying how football isn’t just a sport but, a way of life. As cliché as it may sound, for many it is true, and one example of this is the gravity behind various intense derby days held around the world. 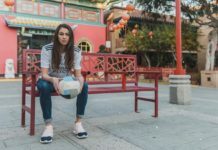 On these days, the game is so important that everything else is put on hold, and cities come to an eerie standstill in the build up of the match. Form goes out the window on these special occasions where anything can happen, but along the way you can expect a fair share of taunts, abuse and violence, as the police have their work cut out for them a little more for that day. Although there are countless out there, we take a look at the backstory of five of football’s fiercest rivalries from across the world, and why when this pair meet, it’s guaranteed to be a fiery encounter, at times both on and off the pitch. Il Derby Della Capitale is the most intense rivalry in Italy. While it was always the Milan teams and Juventus battling for Serie A trophies, the Lazio and Roma match always had its own spotlight and history. Former Lazio icon Paolo Di Canio even went as far to say that the match meant more than winning a title. Founded in 1900, Lazio is a bit older than its rival club Roma, which formed in 1927 from a merger of four small clubs, Alba, Fortitudo, Pro Roma and Roman. From this combined force, pressure was also mounting on Lazio to join them, with the vision being a mighty Roma force to challenge the northern giants from Milan and Turin. Fascist leader Benito Mussolini wanted to promote Rome as the capital of a new rationalized Italy partly through football. However, Lazio resisted this and remained their own club. 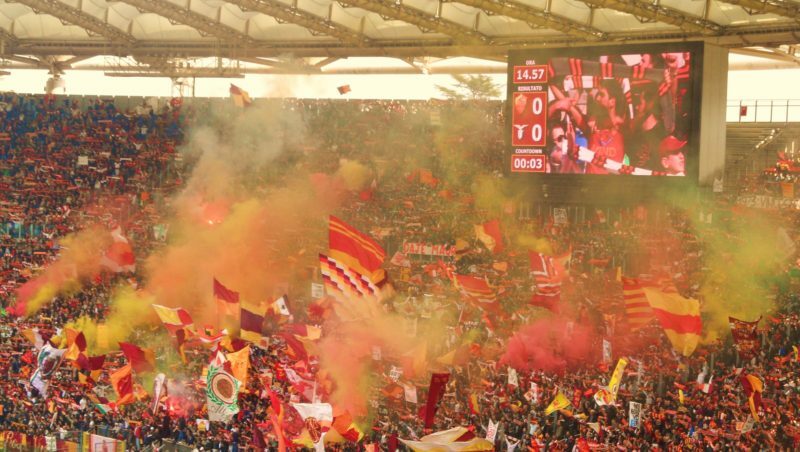 After World War II, Roma reluctantly left their small, cramped and wooden Campo Testaccio ground to share the Fascist Party Stadium (The PNF) with Lazio, and some Roma fans declare they have been homeless since this day. In 1953, both clubs left The PNF for the new Olimpico, which to this day houses the Biancocelsti (light blues) and Giallorossi (red and yellows), taking their rivalry to new levels in the South of Italy. Italian football matches are notoriously violent, and this may be the most violent of them all. Stabbings and fights have unfortunately become commonplace at this derby, with many fans now opting to watch it from the comfort and safety of their homes. When these two meet you can always be assured the city is not flocking with its usual array of tourists exploring the beautiful Roman sites — instead the city is on red alert for the ultras and a football match that means more to these two clubs and its fans than anything else in the world just for a day. The Czech First League may not be one of the most glamorous leagues in Europe, but Sparta Prague and Slavia Prague is a very competitive and ferocious encounter both on and off the pitch with much at stake. The two clubs were founded a year apart, Sparta in 1893, and Slavia one year earlier in 1892. However, Slavia did not expand to football until 1896, with the initial club starting off with cycling. Hence Sparta fans’ taunting chant, cyklistika není fotbal (“cycling is not football”). Likening to other derbies, you also get your usual abundance of trouble amongst the fans as well. 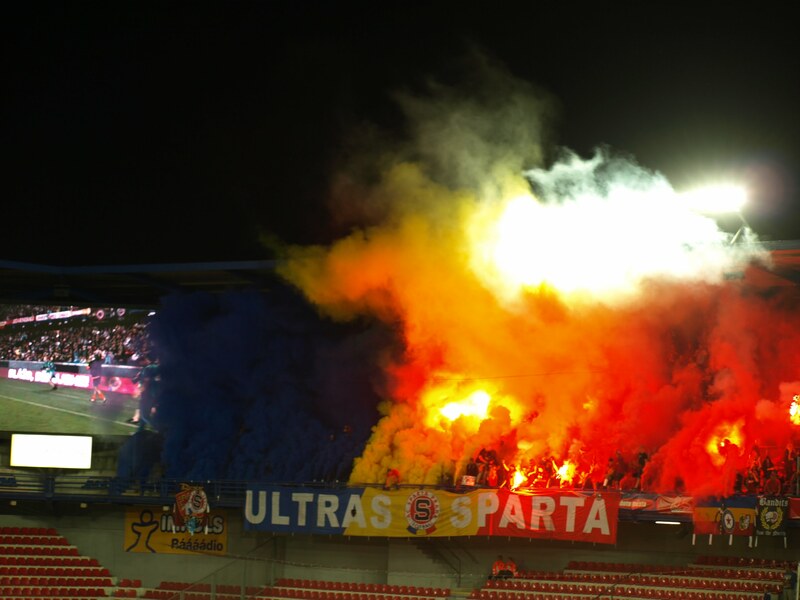 The infamous Sparta ultras will always bring their pyrotechnics and constantly add to their wall of intimidating graffiti and murals outside their Generali Arena. Meanwhile, Slavia ultras have been known to protest against inner workings of the club by throwing drinks at their own players on the last game of a disappointing season or pitch invading cup games before they’ve even kicked off. Divided expansively across the city, Slavia’s Eden Arena in the Southeast and Sparta in the Northwest, these two teams aren’t like some other derbies around the world where one is lightyears better than the other — they’ve always been close. These have been the two teams tightly contesting the titles the most so it isn’t just pride on the line. If either lose, the media backlash is massive, with Sparta in particular having a track record of sacking their manager if Slavia wins the league. Despite some financial difficulties for Slavia of late, both teams still expect to win the title. In the Argentine capital of Buenos Aires, there is the small matter of the ‘Superclasico’, Boca Juniors vs. River Plate. Highly regarded as football’s biggest rivalry, this derby has an incredible span of influence among the fans in Argentina, with 70 percent of the country’s football fans supporting either La Azul y Oro (the blue and gold, Boca), or Los Millonarios (the millionaires, River Plate). Despite both clubs having fans from all different social classes, it is argued that the division between them is somewhat class-oriented. With origins from Buenos Aires’ Italian immigrant community, Boca Juniors is classified as the working man’s club, which has in turn given the club and its fans the name of Xeineses (Genoese). 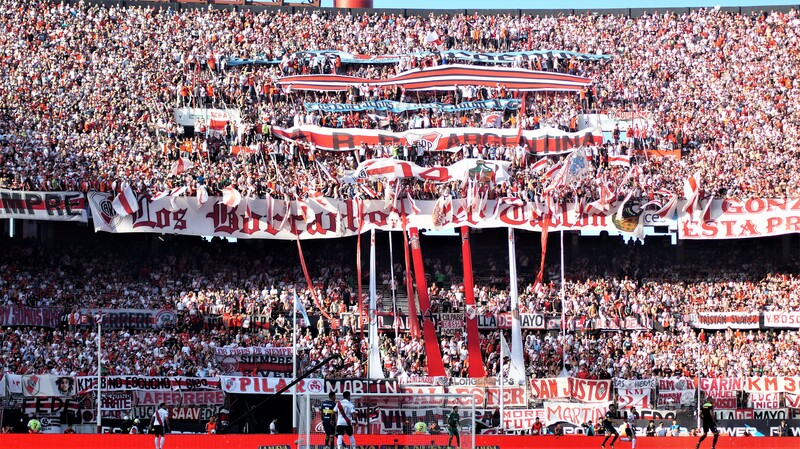 Meanwhile, River Plate is deemed more of an upper-class support base after they moved to the North of the city in the district of Núñez, earning their name of the millionaires — which reflected in some big money signings as well. One incident that added fuel to the fire for these two clubs’ hate towards each other was the Puerta 12 Tragedy in 1968 at River Plate’s ground. Seventy-one fans were crushed at gate 12 and 150 were left injured, and many different accounts and explanations had been thrown around as to what exactly happened. Some claim it stemmed from Boca fans throwing burning flags down below to the River Plate fans, while others claim River Plate fans piled up trying to overhaul the Boca section. After three years of government investigation they found nobody to be guilty, much to the disappointment of the families of the victims. Although the stats will tell you that no team has won more games, scored more goals and had fewer defeats in the history of Argentine football than River Plate, from the 245 meetings between these two clubs it’s Boca with the edge on victories with 88 to River Plate’s 80. One thing that is guaranteed in this derby is the sheer number of fans. Whether it is played at Boca Juniors’ 49,000 capacity La Bombanera or River Plate’s El Monumental which holds 62,000, you can be sure of a packed stadium with incredible noise. While it may only be around 50 years old, the Soweto Derby has already brought up quite the reputation for aggravation and rivalry in not only the city of Soweto, but the entire nation of South Africa. 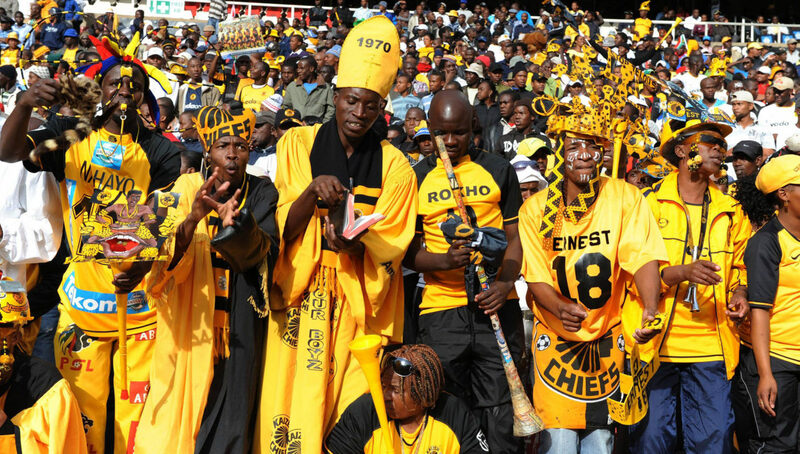 The Chiefs and Pirates derby has happened in numerous locations across South Africa, not just two respective home grounds like others. But with it has always brought large numbers even when up to five hours from Soweto. 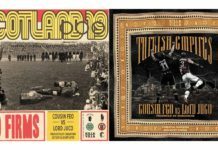 Before the Chiefs were formed in 1970, it was a particularly violent era off the pitch. If someone defeated the Pirates at their Orlando stadium, it was unlikely everyone would leave the stadium unharmed. Founded by former Pirate Kaizer Motaung after a brief stint in the NASL in the United States, the Chiefs recruited players with the lure of playing for a more professional team. This along with the signing of former Pirates players only added more to the rivalry incurred by its location in Soweto. 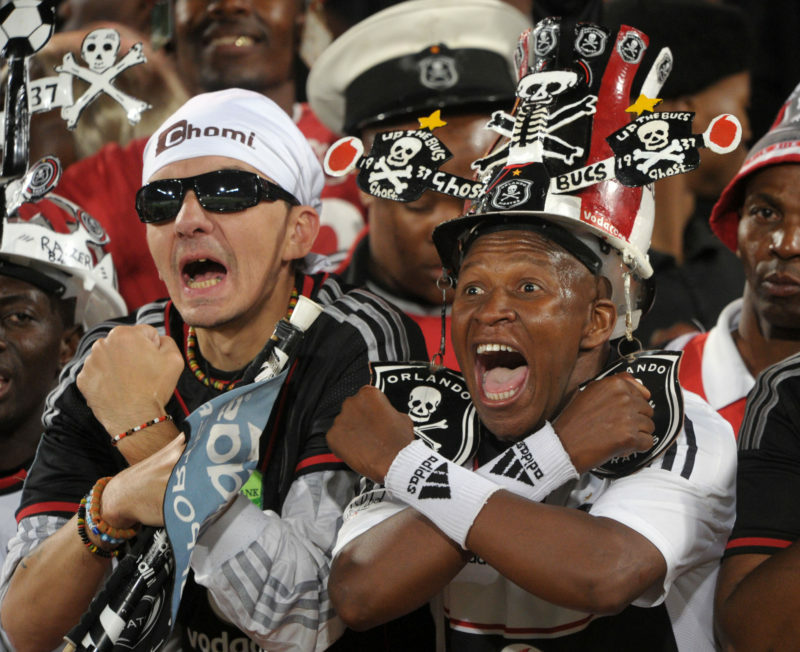 This new-found club from Motaung was seen as betrayal by the Pirates of whom are South Africa’s longest existing football club. But the people’s arrogance and hate, labeling the Chiefs as rebels just spurned them on. 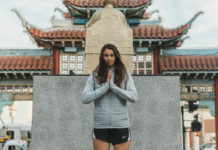 Unlike other rivalries, the hooliganism and fighting between fans is much more of a rarity, and this huge fixture is met with rhythmic music and dancing from everyone on their way to the ground right up to within the stadium, without segregation. Although this fixture is the jewel of South African football, there are some growing concerns of these teams facing each other up to six times a season solely for commercial purposes, with some matches not coinciding with the South African league play or cup competitions. Would too much of a good thing dampen the importance of this rivalry? The electric atmosphere of the Old Firm derby is truly embedded in the culture of football in Scotland where it is more than just a game. Both Celtic and Rangers are based in the Scottish city of Glasgow and have equally shared large, consistent bouts as the most successful teams in the country. This rivalry has a huge religious underpinning to its history in the country, therefore transcending sport. Celtic’s predominantly Irish Catholic background and Rangers’ Protestant roots was the center of much conflict. Football was a catalyst for uniting a community of particular religious groups, but when they played against each other it has never been a quiet affair. The most notorious strife between these two heated rivals came in 1980, in what has become known as the Old Firm riot. After a 1-0 victory for Celtic in the Scottish Cup Final at the nation’s stadium Hampden Park, fans poured onto the pitch for a huge brawl which went down as one of the worst invasions of a football pitch ever reported, and swiftly got the ball rolling for banning alcohol at football grounds across Scotland. While alcohol was the scapegoat for the ugly scene at Hampden Park, many also attribute it to Glasgow’s long history of sectarianism, or rivalry between Catholics and Protestants. This spread not just from fans’ attitudes towards one another, but also from how each club was managed. Rangers FC hadn’t had a Catholic player on their roster from World War I until 1989, when Graeme Souness signed former Celtic forward Mo Johnston in a very public move. Since then, the segregation has subsided. However, no player has ever moved directly from one of these clubs to the other. Money issues led Rangers into dropping into the bottom tier of Scottish Football in 2012. It took them four years to get back into the Scottish Premiership, and it was the first time in 120 years that the Old Firm wouldn’t take place. Unsurprisingly, Celtic fans used their rivals’ economic problems to taunt them not just by winning the league comfortably in their absence, but also the use of large choreographed banners labelling their club as ‘dead’ and the fans as ‘zombies’. This hasn’t lead the rivalry to die down on match day though. 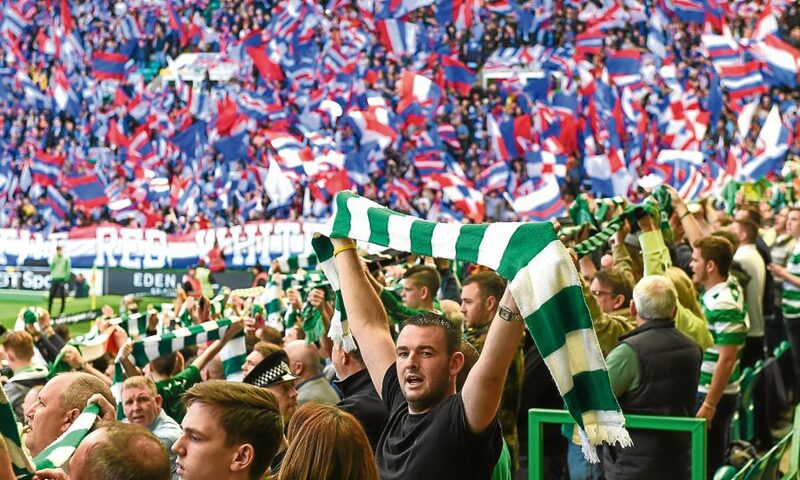 Rangers-Celtic is a guaranteed feisty affair with many forceful challenges being flung in for good measure to get the crowd going. The city of Glasgow, and Scotland, will build up this game for weeks. All for 90 minutes of non-stop crazy atmosphere as the supporters try to out sing and abuse the other camp.